Milwaukee’s East Side will soon be the site of the second Waldorf-inspired high school in the state of Wisconsin. For over a decade, a Waldorf “high school initiative” has been evolving from the seeds sown by interested students, parents and faculty based out of the Tamarack Waldorf School at 1150 E. Brady St., in the St. Hedwig’s church school building. In the fall of 2014, a group of ninth graders will become pioneers in our community’s educational system as they embark on the first year of a four-year journey which will see them joined each successive year by one younger grade. By the time next year’s groundbreakers graduate in 2018, the Tamarack Waldorf High School will be guiding and inspiring youth in ninth through twelfth grades. 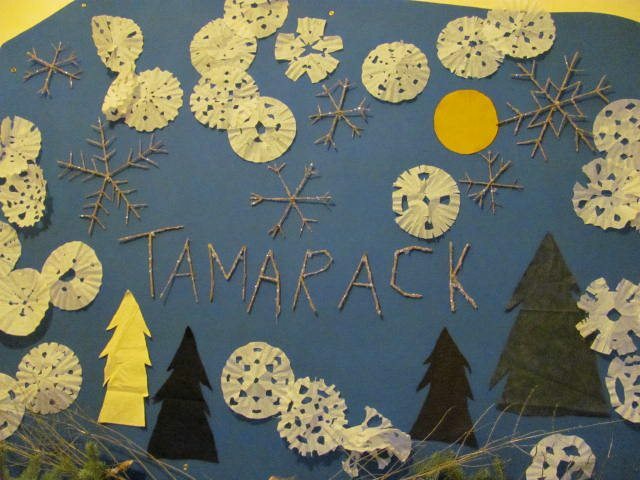 “Tamarack Waldorf School has had an active high school initiative group, in many different permutations, for at least twelve years,” explains Kate Knuth, Tamarack Waldorf High School planner and working group co-chair. The core group of the Milwaukee initiative – Knuth, Jill Herbst and James Boland – consult regularly with faculty and board members and have put together a feasibility study, which they completed in August. The next steps in the process are interviewing seventh and eighth graders about their needs and desires for the new school; putting out the call for the new high school’s faculty; and leasing space for the school. “We need to find a site that will accommodate wood carving, copper pounding, blacksmithing …” as well as classroom space, according to Knuth. The initiative has met with the Brady Street Business Improvement District and is working with commercial real estate agency Siegel Gallagher in their search for the new facility’s housing. Waldorf schools teach reading, writing and arithmetic, sure; it’s how they do it that speaks to a growing legion of parents and students. Waldorf teaching methods are gaining respect and popularity in an increasingly technology-focused world. Manual arts and practical life skills such as gardening, carpentry, auto mechanics, primitive skills, robotics and energy sustainability are part of the Waldorf core curriculum. And students’ individual interests are closely shepherded by teachers who stay with the same group of students throughout their school years. That’s a good description of the first Waldorf high school students in Wisconsin. Youth Initiative High School (YIHS) in Viroqua was opened in 1996 by a group of students who wanted to take responsibility for their education. One of those founding students, Jacob Hundt, is now program administrator and teaches humanities and sciences at YIHS. Hundt was on hand at a recent information session about Tamarack Waldorf High School. He described the first year at YIHS as “chaotic and amazingly invigorating” and the growth process of the school as “a step of faith that is really rewarding.” His enthusiasm and involvement, like that of Knuth and other alumni, current students, parents and teachers, is endemic to the Waldorf school movement. To learn about Waldorf schooling, check out the informative website WhyWaldorfWorks.org. For more about the Milwaukee high school initiative, see TamarackWaldorfSchool.org. The school will be hosting a Comedy Evening and Paddle Auction on November 2, featuring faculty member and High School Working Group Co-Chair James Boland and his comedy improv troupe, “The Tall Boys.” The paddle auction will raise funds for the technology and science labs the school hopes to have in place as they open their doors in Autumn 2014 to their pioneering class of ninth graders.